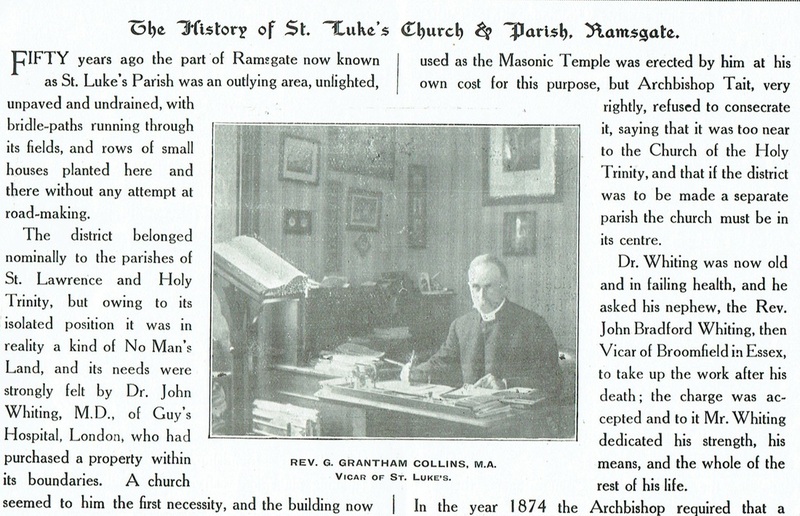 The following shows an extract from a booklet produced in the 1920s, which gave the history of the first 50 years of St. Luke's. 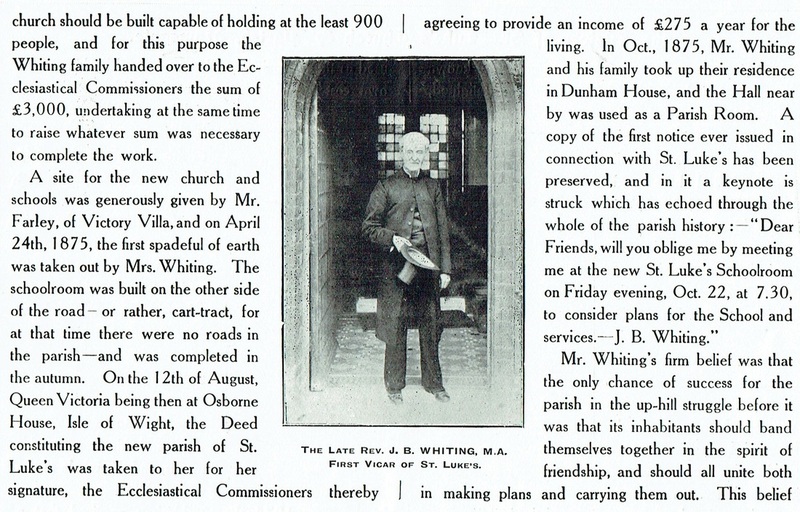 The first picture is of the vicar in the 1920s, but the text tells us of the original vision and plans that led to the building of the church. It is notable how much money the Whiting family put into the project, but also that it was very much a local community effort. Work amongst children was also a priority right from the start. ".. and on All Saints Day, November 1st, 1876, the Church as far as​ then built - nave and aisles - was consecrated by the Archbishop, who expressed great admiration of the building with its arches of Caen stone and its pillars of red granite." This is another vicar's letter from a Parish Magazine in 1906, which was reprinted in the 1936 Diamond Jubilee edition of the magazine. The Rev. Hazledine is pictured sitting down in the picture with his two ordained sons standing behind him. ​Dear friends, let me ask you the solemn question, 'On what is your hope for the future resting?'" 1914 was a sad year for St. Luke's. 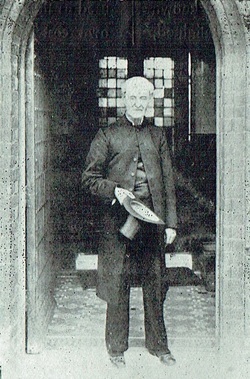 It's first vicar, who is still the longest serving vicar, Rev. 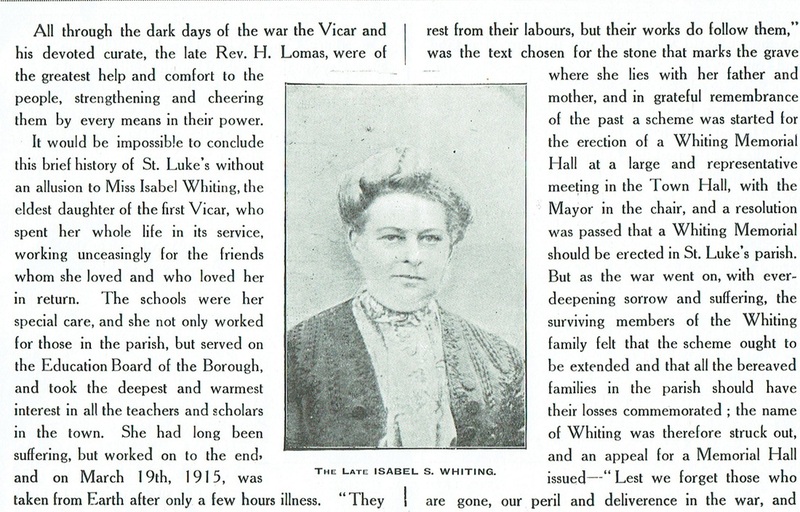 Whiting (vicar from 1875-1905) died. 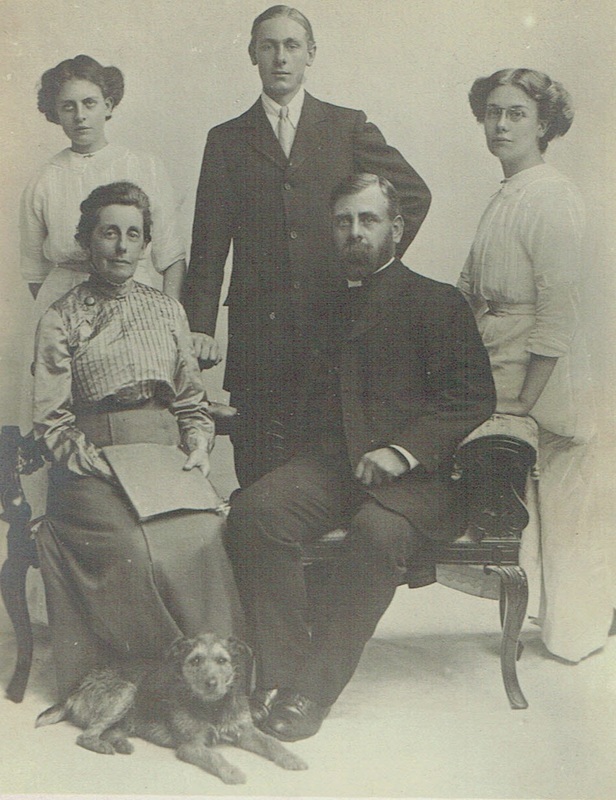 Yet added to that grief was the start of World War I, which had a deep impact on the parish. St. Luke's was said to be the most bombed parish in the most bombed town in England during World War I. In March 1916, five children were killed on their way to Sunday School, ten others injured and two adults killed. 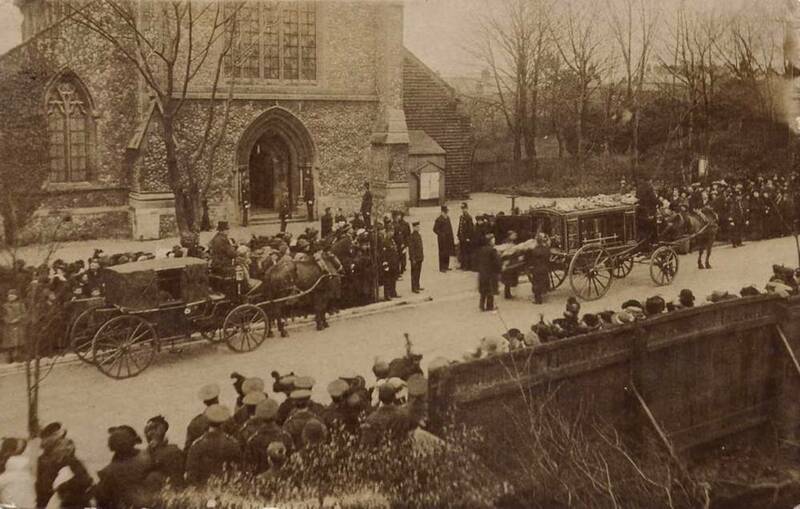 The funeral for the children was held in the church. But, through this time the church continued active and people kept praying. 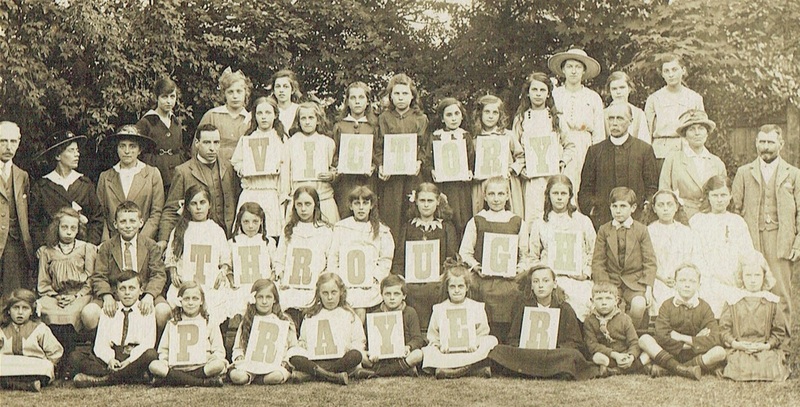 The picture below from 1918 shows a group photo holding up the letters, 'Victory Through Prayer'. 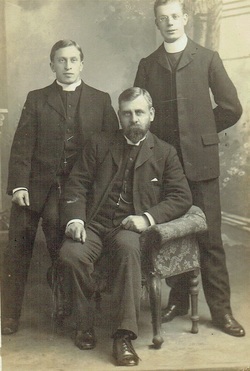 The vicar towards the right, was the vicar from 1913-1927, Rev. Collins. As you can see at this time children played a key role in the churches life. 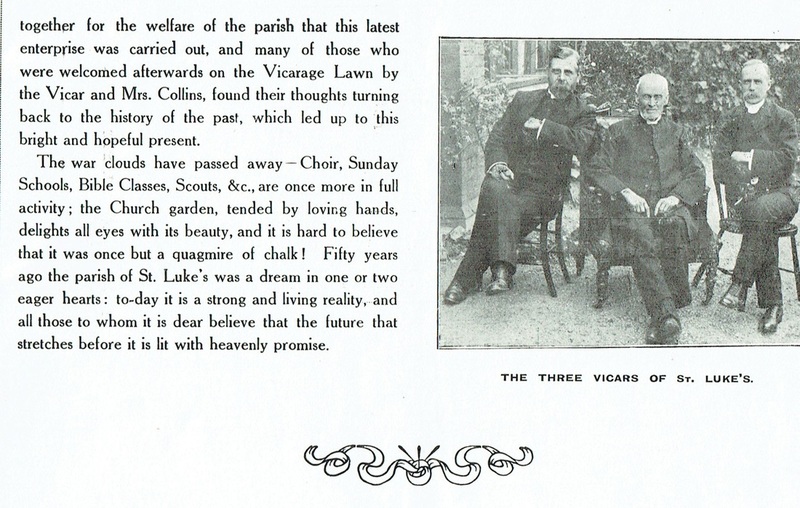 Another vicar's letter from the start of 1939. 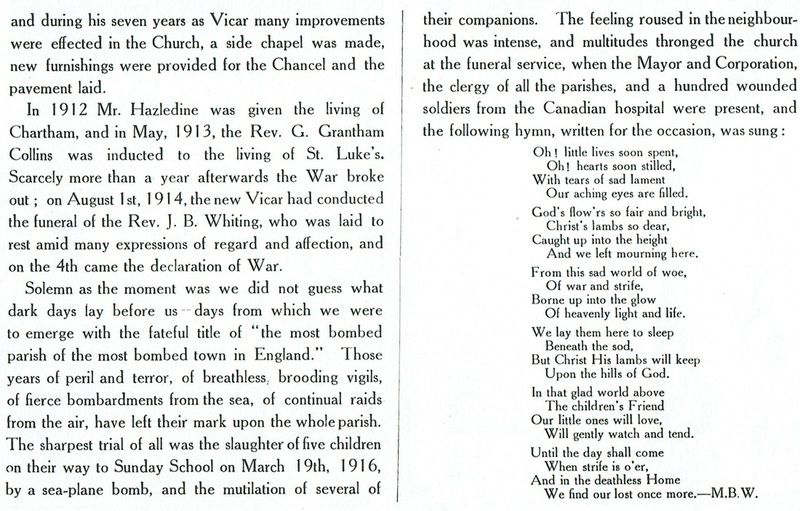 War is still to come, but the threat of war is clearly on people's minds and the vicar calls people to prayer. Church life still goes on, however, and rejoicing at money raised and plans for the development of what would become the present church building for St. Mark's are also mentioned along with the work to build the present St. Luke's church hall. ​May I wish you all a very Happy New Year. As we leave 1938 behind, we wish that we could leave much of its unsettlement behind with it. This, alas, does not seem altogether possible, and the call to prayer and acknowledgement of God remain insistent. I hope that many who hitherto have not taken part in the Week of Universal Prayer will feel the need to do so this year. To join with others the world over in the first week of the year to seek God's guidance for the Churches and nations, is surely at the present time a Christian duty as well as privilege. ​As a congregation, I feel that we may enter the New Year greatly encouraged. The response to the Thankoffering Fund - now standing at £115 - cheered me greatly, and I know that you shared that encouragement. The sum realised breaks the record of even the first Thankoffering day. It is not merely that the amount is splendid, but that such a result cannot be attained without interest and unity. It is that good spirit thus shewn which will help us so much in our work. ​I was equally cheered, too, by that same spirit of goodwill at the December meeting of the Parochial Church Council. It was then resolved to go forward with the undertaking at Northwood to erect a suitable building for the work there. It was a step calling for faith and courage and an appreciation of what God was calling us to do to further His Kingdom in our own town. It was taken with goodwill, and I am certain God will honour our faith. Quite apart from the important matter decided the spirit displayed is a valuable asset, and with it I am persuaded St. Luke's will, in the truest sense, prosper and its work go forward. May I ask you all to pray for success in the appeal to a wider circle that the parish to help the above project, and also that our efforts to replace our Hut by a really suitable Hall will be crowned with success. ​I thank God for these encouraging events last month, and thank the Church Council and you all for such helpful co-operation. ​For the leaders of the nations, for the leaders of the Church, and for ourselves as a congregation and as individuals, what better word is there than that? What problems would find their solution when that word is obeyed. And what undertakings we at St. Luke's shall be able to carry out with success if our reliance is in God. ​When the work is His its accomplishment is certain! ​May faith in God and the spirit of fellowship enrich our experience in 1939! 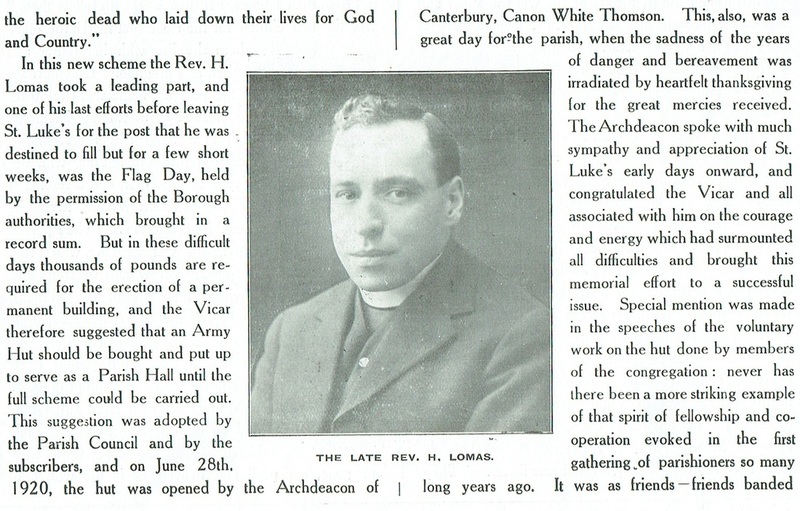 In 1944 as the end of the war was in sight a new vicar was appointed to St. Luke's, Rev. Blanchett. 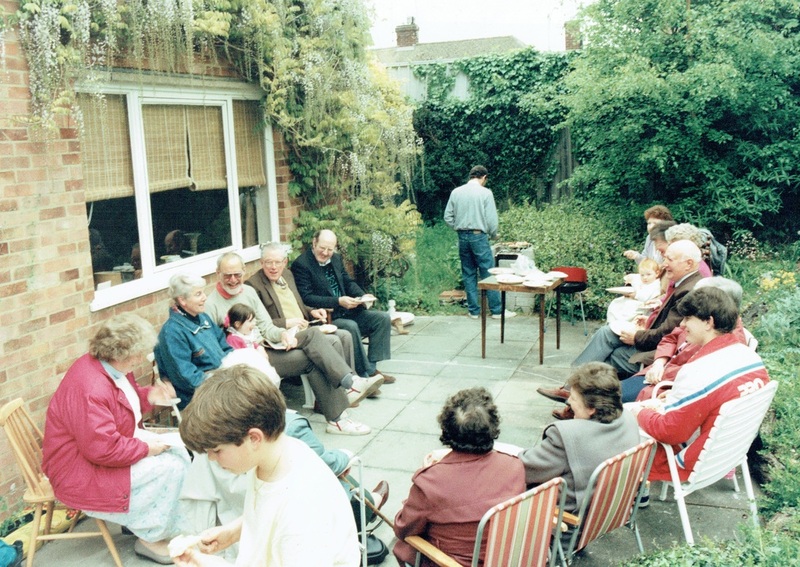 This was a time of when the life and fellowship of the church steadily grew, especially the work amongst the young people. 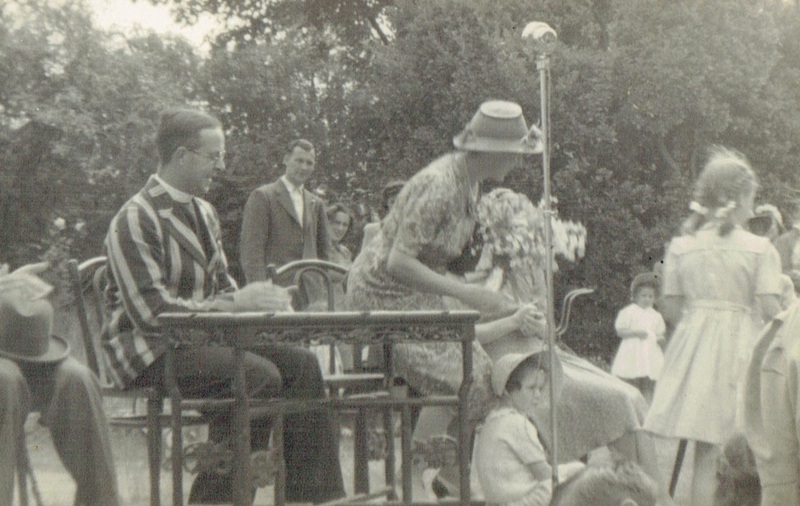 There were meetings for fellowship and recreation which were very well attended by both young and old. 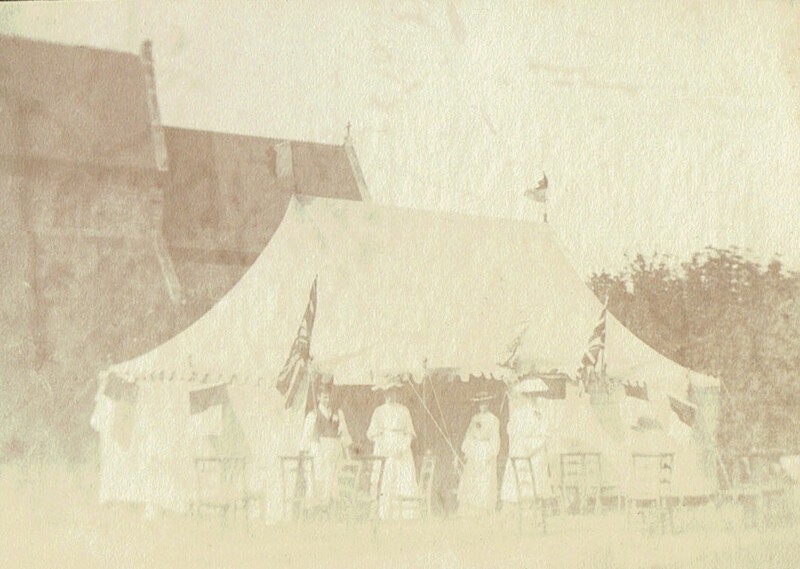 However, initially after the war the church building itself was in desperate need of repair and so the services were initially held in the church hall. 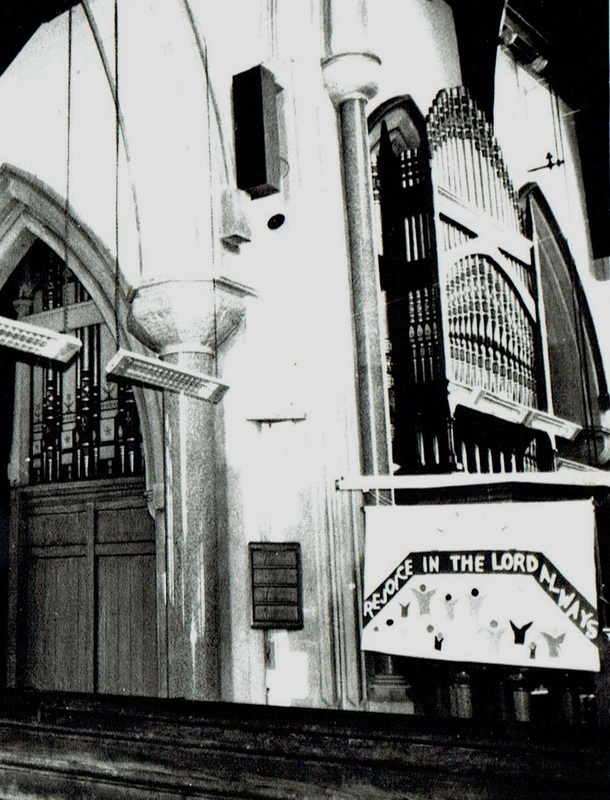 However, on February 4th 1951 the building was finally re-opened at a special service to which all the local dignitaries were invited. 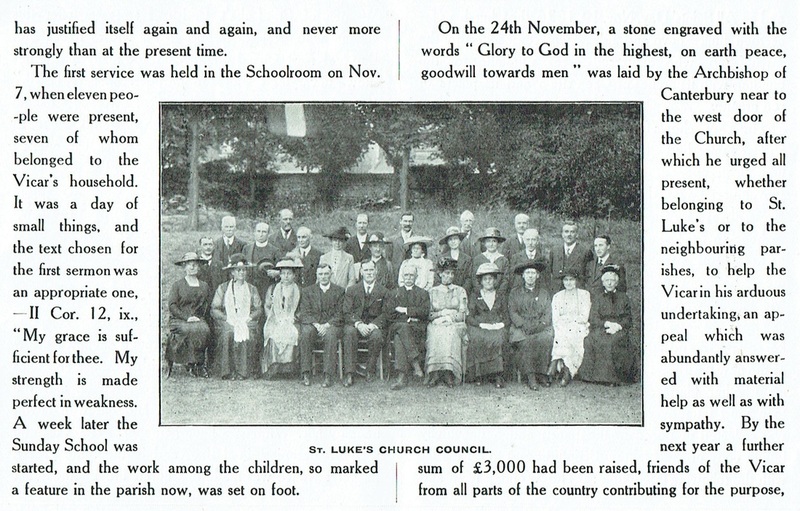 ​"They are glad to be associated in Thanksgiving with the people of this large Parish that our Church escaped destruction during two world wars, in both of which this district received more bombs and shells than any other part of the town." Rev. Blanchett at a garden fete in early 1950s. 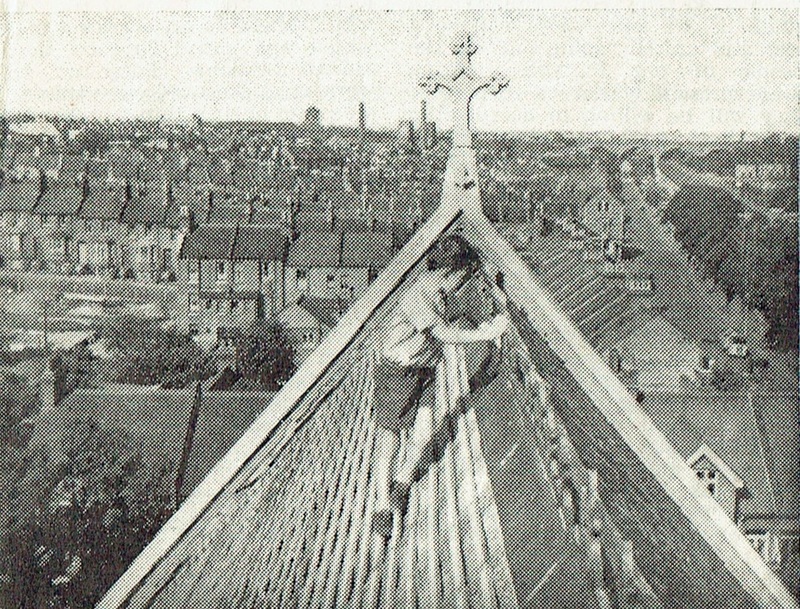 A view of the roof as it was being repaired in 1950. 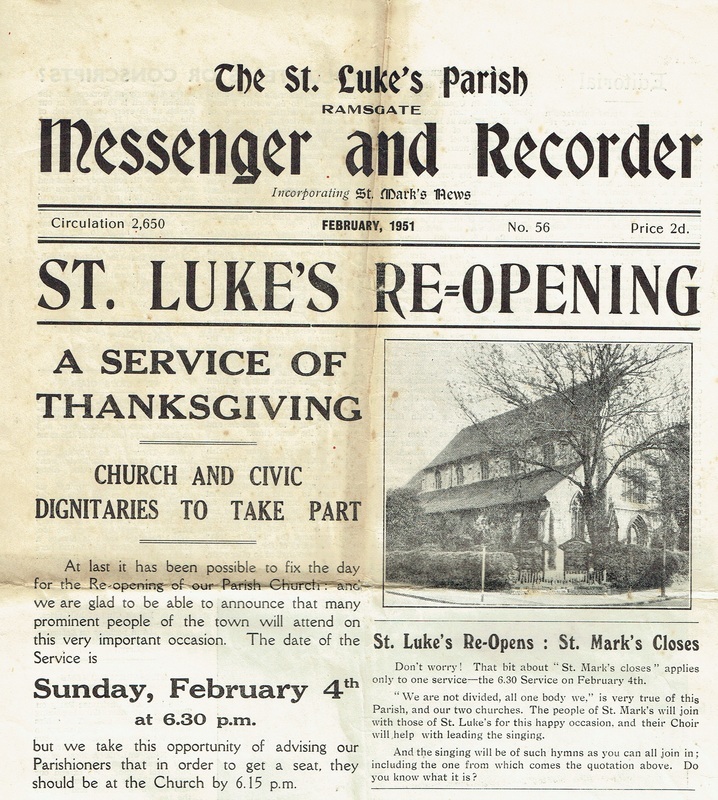 The Parish magazine announces the re-opening of St. Luke's in 1951. As with most churches in the U.K. these years saw a steady decline in church numbers. Eva Side, who was a Warden at St. Luke's and wrote a 100 year history of St. Luke's in 1976 reflects, 'During the 1950's and early 1960's St. Luke's, like practically every other parish found meetings and church attendances dropping steadily. The age of television was in full swing and as with all new toys, people just wanted to stay at home and watch the 'box'. ​Yet, the decline must not be exaggerated! Much continued to happen at St. Luke's during this period. 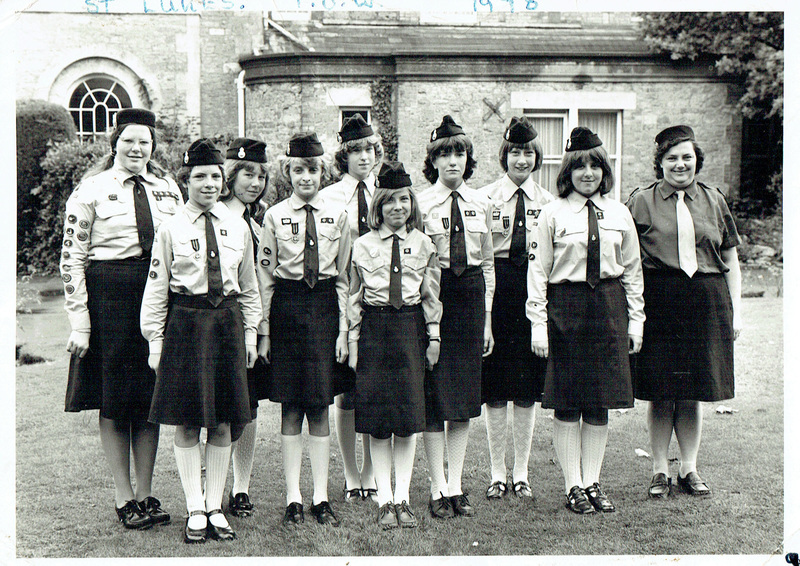 There were Women's Fellowship outings, youth groups and the starting of a Campaigner's group in 1969, which soon grew and developed. 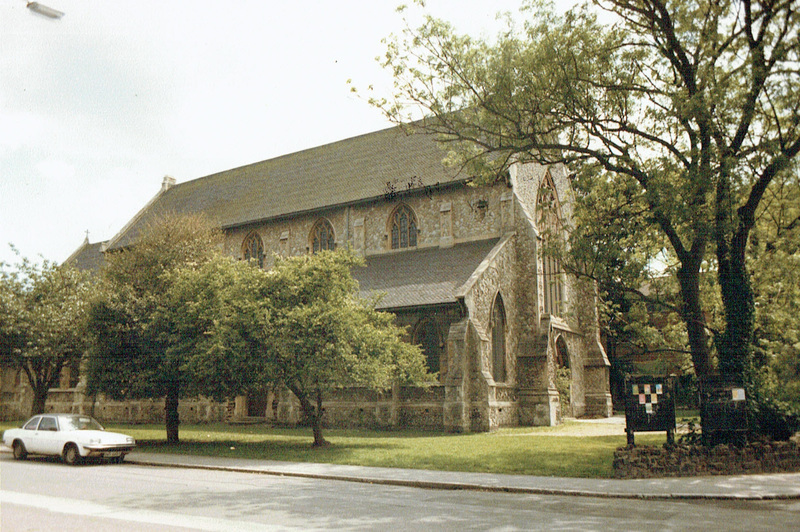 Also in 1967 the new Church at St. Mark's that was first planned before the War was completed and consecrated by the then Archbishop of Canterbury. Each vicar brought in their own changes. The Rev. Hall who started in 1956 encouraged a greater emphasis on Spiritual growth and less on general fellowship, whilst the Rev. 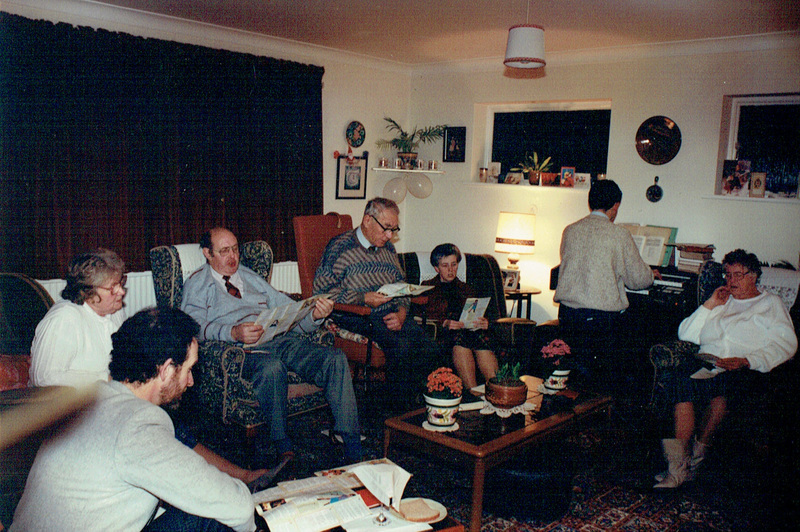 Halse who started in 1968, also brought in a number of changes, including the end of the publication of the parish paper, 'The Recorder', which had run for 20 years with the aim of being placed into every home in the parish. 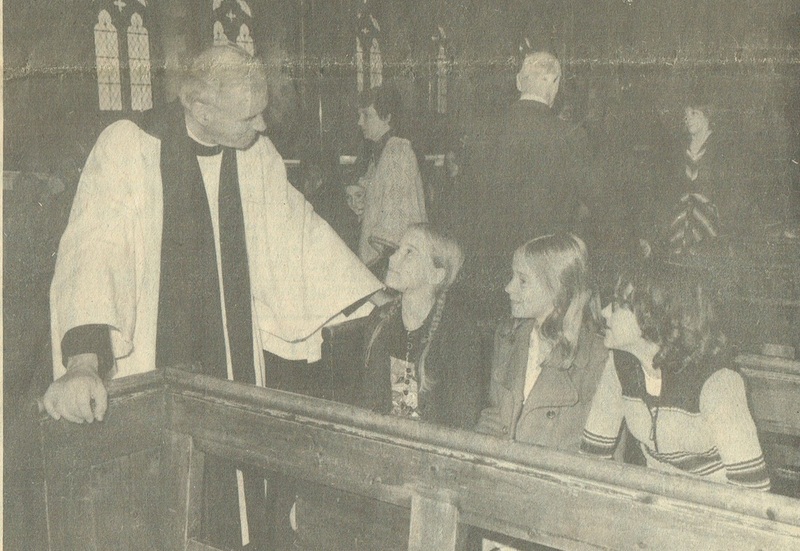 In 1968 it was felt that the paper was no longer taking the vital message into the Parish that it was meant to do, that it no longer had popular appeal. Finally, it was felt that the Parish could no longer afford to distribute the paper. It was replaced instead with a more 'do it yourself' duplicated parish magazine that would be charged for. The other big change introduced at this time was to move the Sunday School from Sunday afternoons to Sunday mornings, so that they would run during the Sunday morning service (as they do now). This was a big change, but it reflected as similar pattern up and down the country. In the following years there were other changes, including the move away from the traditional 1662 prayer book to more modern services. 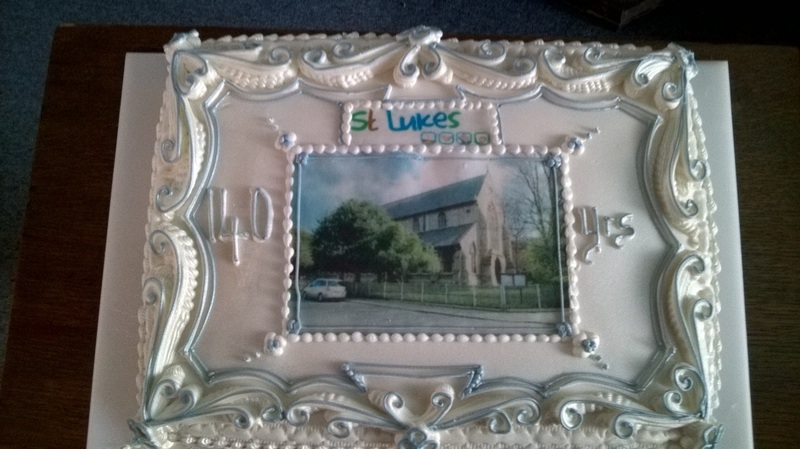 ​In 1976, St. Luke's celebrated its centenary. However, this was not a grand celebration like the Diamond Jubilee in 1936, rather the vicar encouraged it to be a 'growth point'. As such Rev. 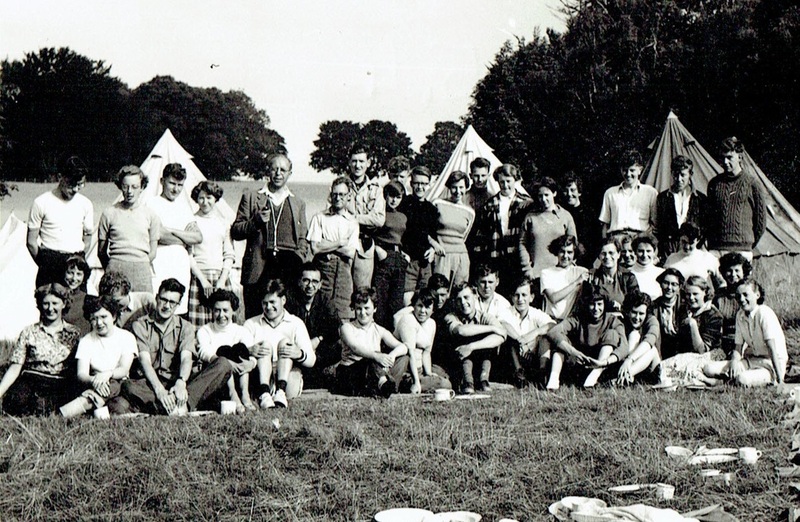 Colin Urquart was invited to lead a weekend of renewal at around this time. ​In the late 1970's the Diocese did a review of Thanet Deanery and suggested closing and amalgamating a number of churches. 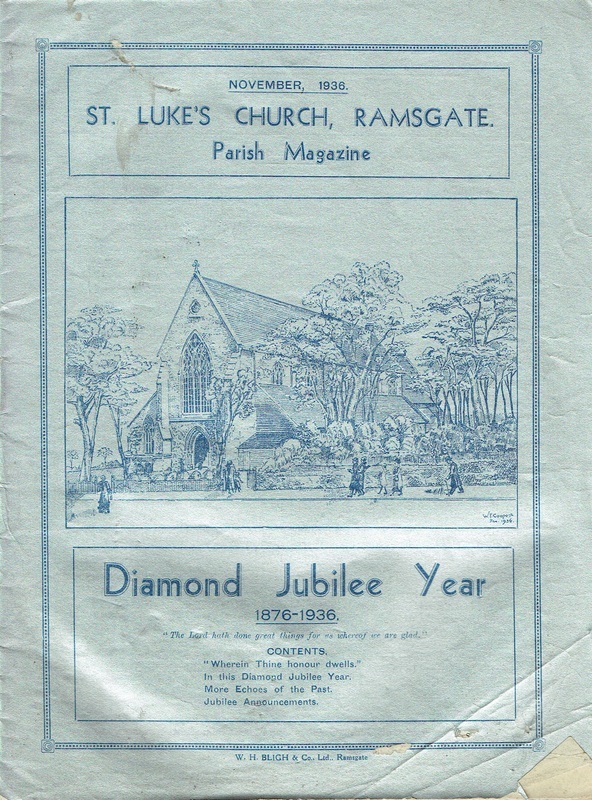 It was suggested that Ramsgate have only three churches: St. George's, St. Laurence and St. Mark's. St. Luke's would be closed. However, this proposal was rejected by the local churches. Indeed, no churches in Thanet closed as a result of the review! 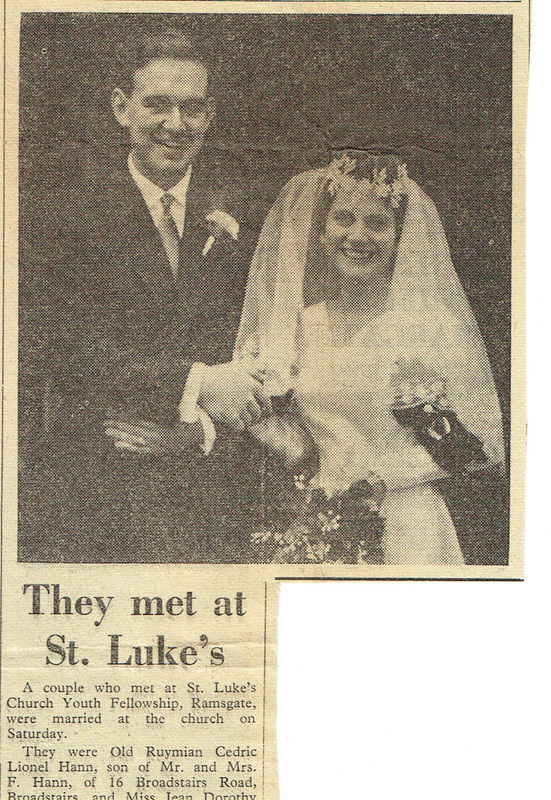 Some from the youth club were married at St. Luke's. This couple are still coming! 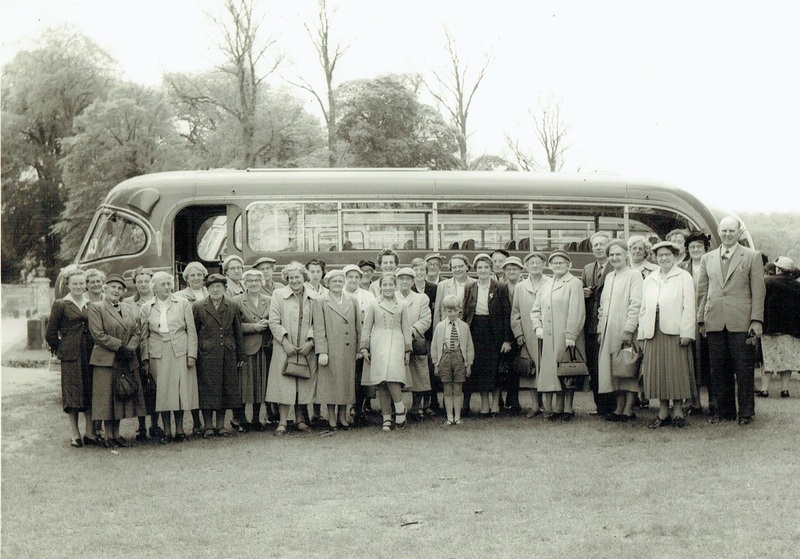 A Women's Fellowship Outing in 1960s? The Rev. 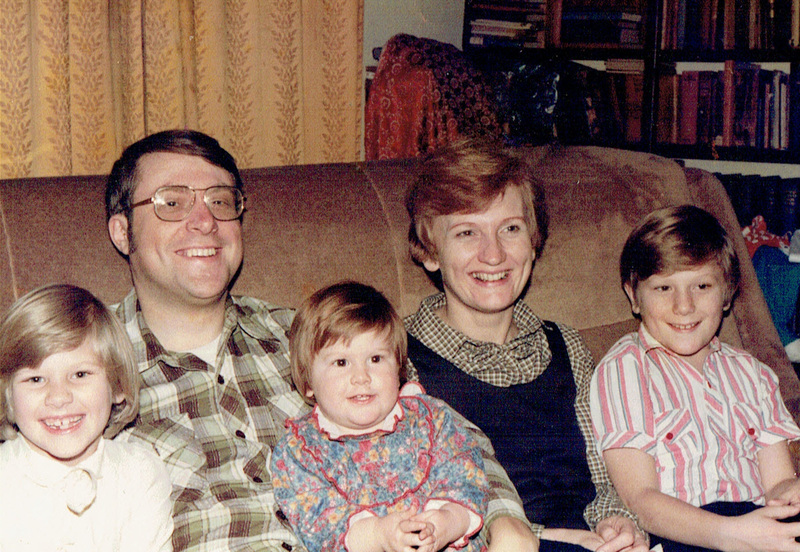 Halse at a family service in 1976. Below is a cutting from a local paper (Friday 11th November 1988). 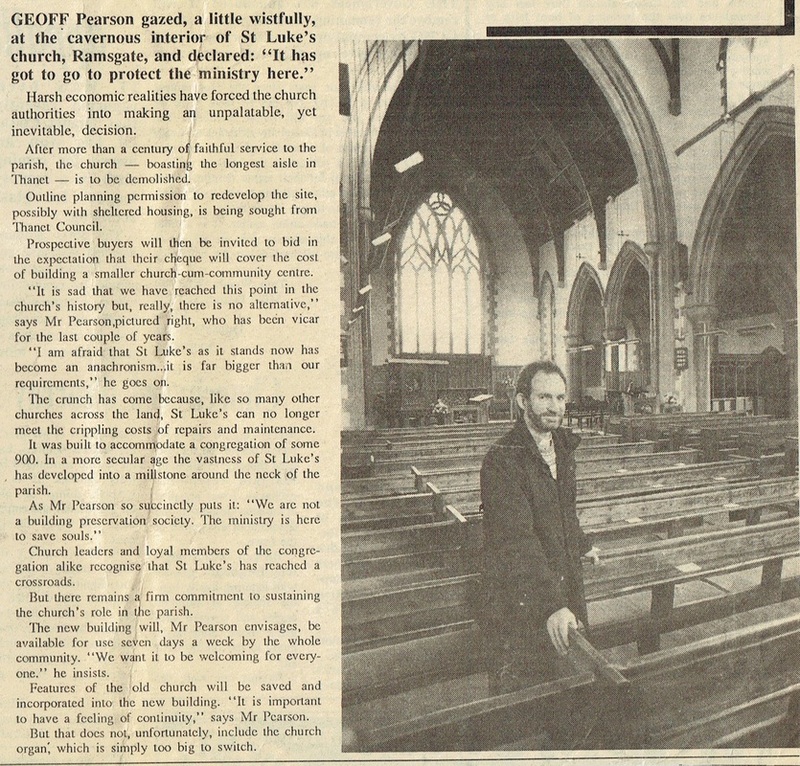 It features a picture of the then vicar, Geoff Pearson standing in the church. At this time plans were put forward to sell off St. Luke's to be used for affordable housing and use the money to build a smaller more compact community hall and church on the hall site. The plans progressed a long way and received the support of most of the congregation at the time. However, in the end the house prices changed and the scheme became economically impossible and was abandoned. Not that did-similar to the present day programme! ​The new vicar of 1994 was Vernon Wilkins. 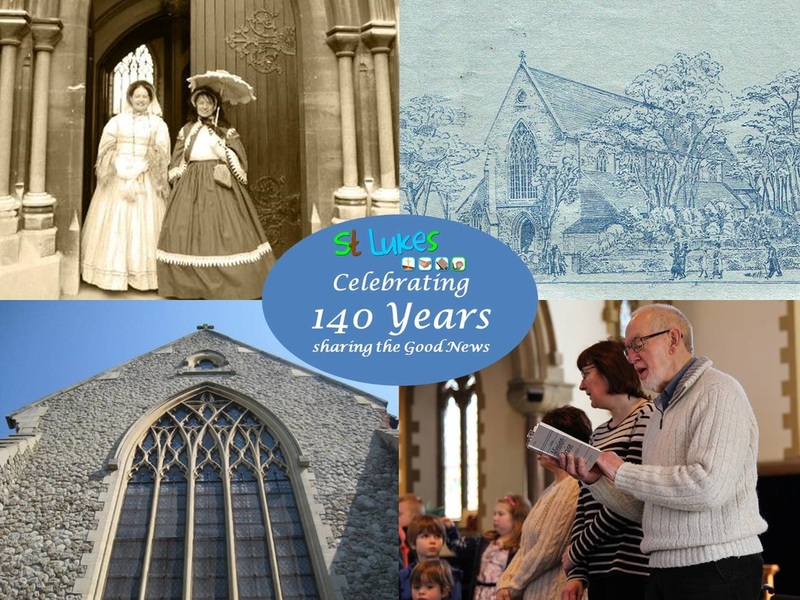 During his time he made a number of changes to the church buildings and grounds, including erecting the present fence around the church gardens and selling off the organ and re-organising and carpeting the chancel area to create the large space we have there today. 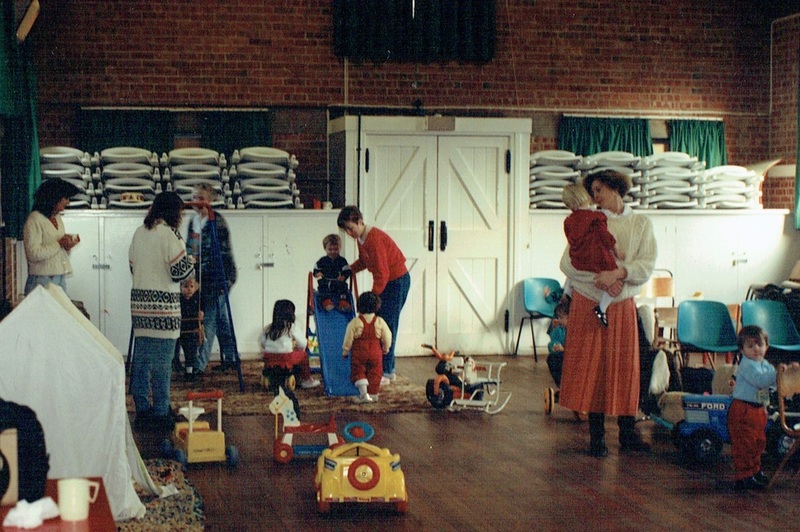 Also during this time, the Pram Club was re-launched as Play and Praise. ​In 2004, the present vicar, Paul Worledge started. After introducing the Christianity Explored course to the church, the Home Groups, which had stopped were re-launched as Growth Teams. In January 2009 a new youth group, Fusion was launched on Friday evenings, which has since gone from strength to strength. In December 2011 the new toilets and kitchen area in the church were opened. Although there is no longer a parish magazine, the church also launched a website! 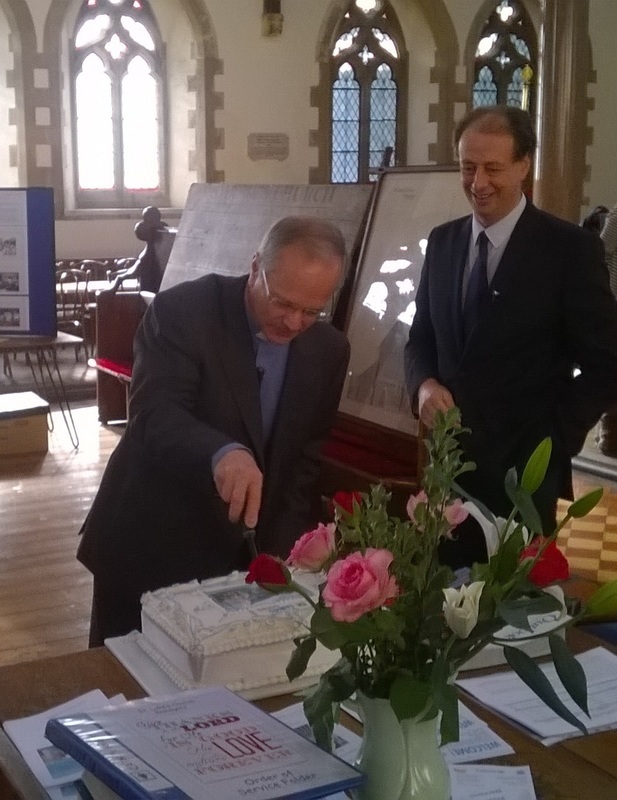 Thank you to all who took part in and contributed to our 140th Celebration yesterday. After a wonderful day of Prayer on Saturday, which saw 36 different people join us for prayer at some point in the day, we had a special service on Sunday with John Dunnett from CPAS as our guest speaker. You can listen to his sermon here: John's sermon. 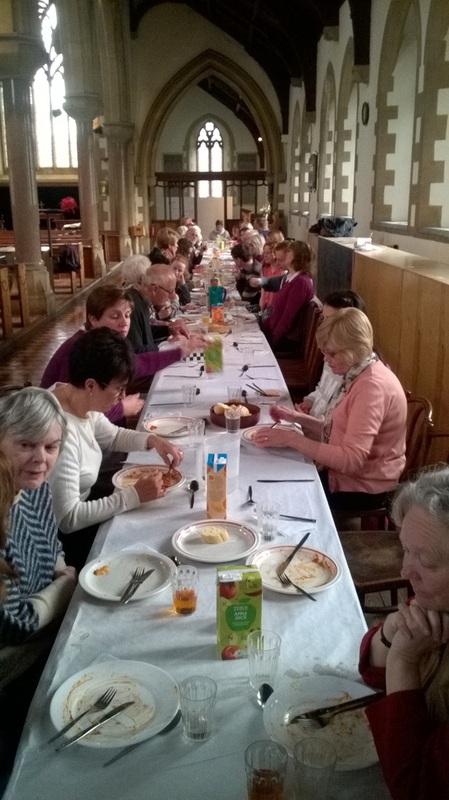 ​As well as the service we are thankful to Trevor Clarke for installing an amazing Prayer Space in the North Aisle of the church and to Pauline, Hazel and Delphine for organising a lovely meal. Also for Pauline for baking the celebratory cake! The celebration cake made by Pauline.